ConnellGriffin is a boutique, multidisciplinary advisory firm specialising in providing commercial and contract management advisory services. We work with clients in the public and private sectors across multiple industry sectors including transport, civil infrastructure, agriculture, aviation, retail and social infrastructure. Our team is committed to supporting our clients’ projects by channeling its experience and knowledge across a wide range of services and disciplines and working in partnership with our clients to develop, create and implement the most effective solutions for complex problems. At ConnellGriffin we are proud of our close-knit and collaborative team culture, our diverse backgrounds and experience and our commitment to our clients. ConnellGriffin is seeking applications from exceptional people to join its 2018 Young Professionals Program. The program offers graduates and other young professionals the opportunity to learn and develop by working with our senior advisors on some of the most high profile infrastructure projects in NSW, with the possibility of also working in other states. ConnellGriffin invests in future leaders by providing its young professionals with the opportunities, mentoring and training necessary to develop into a well-rounded commercial advisory consultant in the sectors in which we operate. 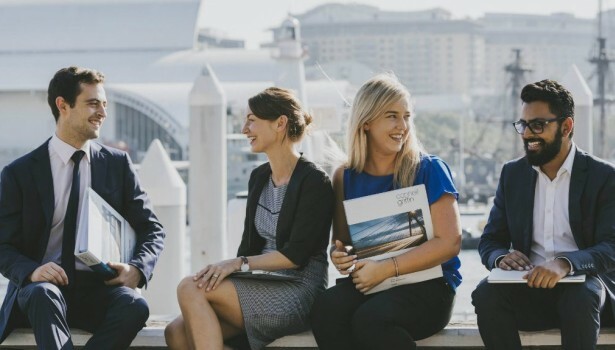 ConnellGriffin is offering limited positions in its 2-year Young Professionals Program which includes a combination of practical experience and internal and external training in areas relevant to a specialist commercial advisor in the infrastructure delivery space. The program focuses on providing young professionals with the opportunity to gain a wide range of experience across the range of services offered by ConnellGriffin. The roles are based in Sydney, with the possibility of some interstate work. We are looking for strong academic achievers with leadership potential, who demonstrate proficient problem solving skills, flexibility, and ambition. Candidates must have excellent written and verbal communication skills, and be a good cultural fit for our business. We have a preference for candidates graduating in 2017, with a degree in engineering, or a double-degree in engineering and commerce, law or science.